Mr Ngwa and I had our conversation in a shabby refugee centre in the Nigerian town of Calabar, on Cameroon’s western frontier. Despite his impeccable manners, Mr Ngwa is a wanted man back home in Cameroon. His crime? 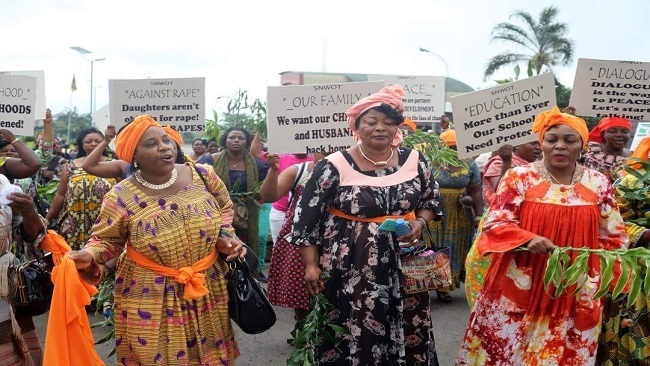 To have been a member of the Southern Cameroons National Council, a group campaigning for independence for Cameroon’s English-speaking minority. Compared with Boko Haram, the Niger Delta Avengers and some of the other outlaw crazies rampaging round this corner of West Africa, the council doesn’t sound like a very scary bunch. But right now, standing up for the rights of English-speakers in Francophone Cameroon can get you killed. Did you even know there were English speakers in Cameroon? Most people don’t. They think of it as a French-speaking place that sends us the odd good football player. I suspect that most Britons are unaware that we even left a colonial footprint there, let alone a forgotten tribe of Anglophiles like Mr Ngwa. All that may be about to change. After half a century as one of Africa’s most stable states, Cameroon is sliding into a vicious, though largely unreported, civil war. On one side are the five million Anglophones. Their region, they say, is under-developed, with all the best jobs in government hogged by French speakers. 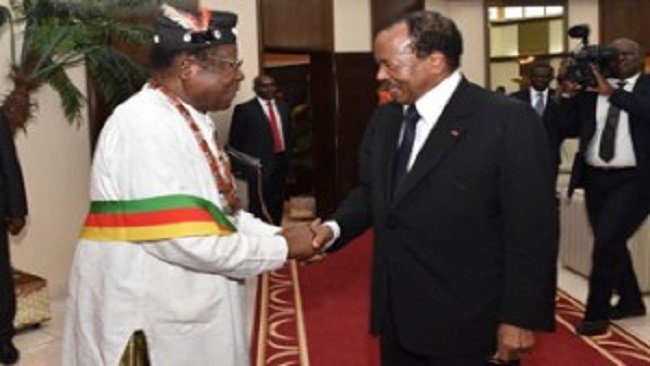 On the other side, meanwhile, is Cameroon’s strongman, President Paul Biya, who has clung to power since 1982, and who absolutely refuses to countenance any Anglophone demands for a fairer deal. The fissures in ‘La République’ first opened up in 2016, when Anglophones protested against plans to impose French-speaking judges on them. The government responded with a violent crackdown on protestors and the troubles began. Two years later, towns like Bamenda, Mr Ngwa’s home town, are seeing atrocities committed by both sides daily. I joined the Anglophones’ WhatsApp group last week and my phone has ever since been spitting out images of slaughter and mayhem in a way that it normally only does in Iraq or Libya. Some of the horrors are carried out by Mr Biya’s feared Battalion d’Intervention Rapide, a US-trained military force known by Anglophones as ‘The Beer’. Others are the work of Anglophone ‘self-defence’ groups, which have sprung up by the dozen in the past year. They’re not armed with much more than machetes, clubs and Dane guns — homemade muskets first brought in by Nordic colonial traders. So usually all they can manage is to kidnap, kill and occasionally behead the odd Beer member. They also organised a widespread Anglophone boycott of the recent presidential elections which did nothing to stop Biya winning again. So where does Britain come into all this? Speak to any Anglophone activist, and you’ll soon find out. It all goes back to the end of the first world war, when what was then German-run Kamerun was divvied up into a big French chunk and a smaller British chunk, known as British Cameroons. The latter was brought to life in the writings of Gerald Durrell, who spent much of his time downing gin there with the Fon of Bafut, a bibulous Anglophone chief who helped him collect green-leaf vipers and flying mice. The British Cameroons ceased to exist in 1961, when there was a referendum and Anglophones had to decide whether to become part of Nigeria or join up with their French brethren. Many wanted self-rule instead, including the Fon, who famously described the referendum as a choice between ‘the Fire and the Deep Sea’. But independence was ruled out by Foreign Office mandarins, who traditionally frowned on plucky little statelets wanting to go it alone. Times, though, have changed. With Brexit Britain now seen around the world as the champion of the go-it-alone cause, Cameroon’s separatists think they deserve our support. They dream of a breakaway state called Ambazonia, which, they point out, would have the same population as Scotland and even bigger oil reserves. ‘If Scotland can have independence, why can’t we?’ asked Mr Ngwa. In practice, all Britain is likely to do is join forces with America and France to prod Mr Biya into giving some devolved powers, though he has not shown much interest so far, which is why ‘Ambazonians’ think their only option is to carve out a homeland by force. This plan doesn’t look very promising either, if their military field-craft is anything to go by. Still, rather like the impasse in Catalonia, the heavy-handedness of the government response has all but ruled out a return to the status quo. And judging by the way Anglophones now spit out the word ‘La République’, there’s every chance the war will worsen. True, it’s not yet at the stage of Rwandan-style communal violence. Day to day, Anglophones and Francophones still get on. But it’s hard to see a way back. A younger, internet-mobilised generation wants a better hand than history has dealt it, but Mr Biya, a throwback autocrat, sees compromise as weakness. And this is one colonial legacy that Britain might feel a prick of conscience about. British student radicals might prefer to concentrate on lobbying Cambridge to return its Benin Bronzes but in Cameroon people are dying because they were lumped half a century ago into a state that didn’t fit them. Where’s the #BiyaMustFall campaign on the campuses? When Mr Ngwa told me how sad he was to be abandoned by the Crown, I couldn’t think of much to say in our defence.